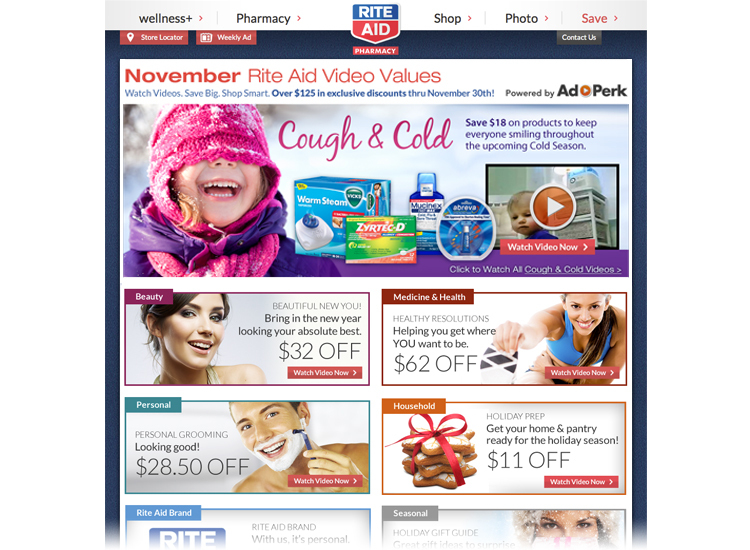 Each month AdPerk creates Rite Aid’s Video Values. 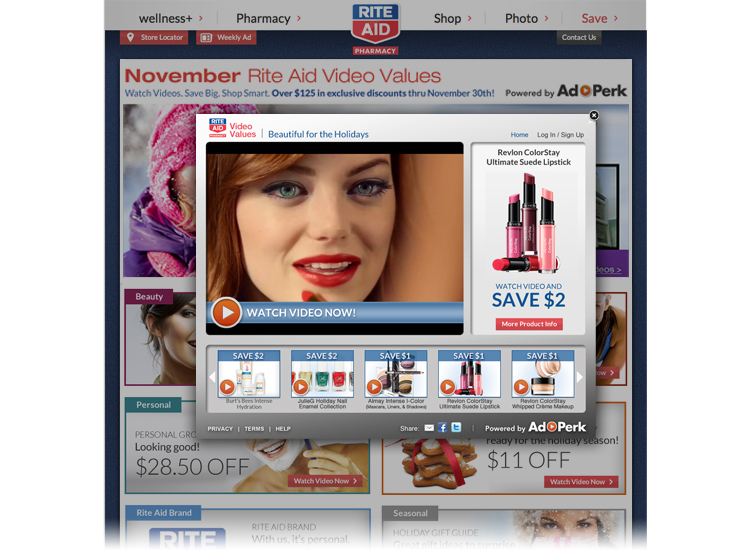 We post new offers for their clients to watch video, learn about their products, and earn rewards for participating. 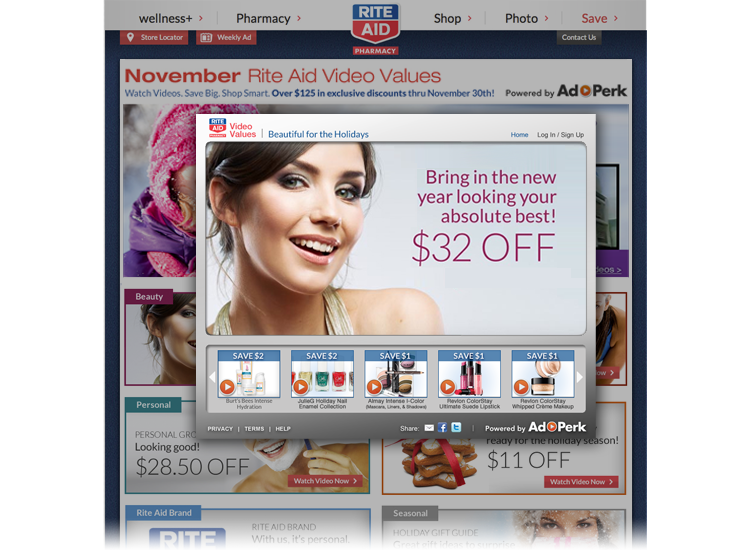 I created the original UI for the landing page, the pop-up player, and all customer facing interaction. 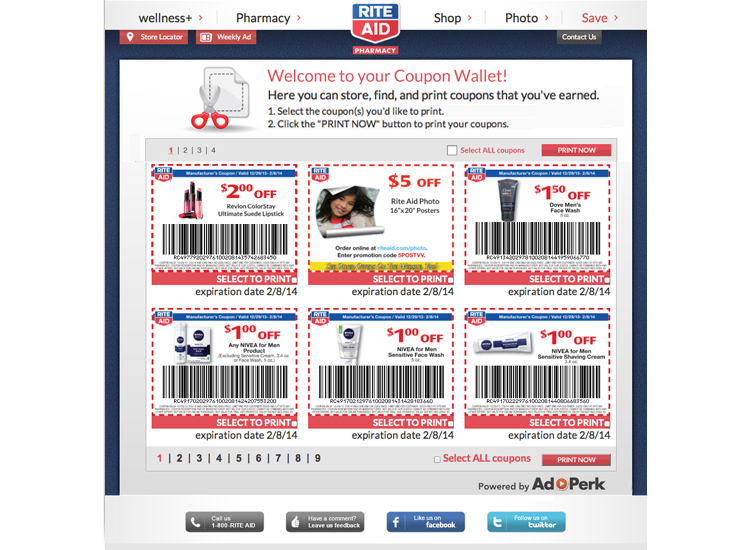 We meshed AdPerk’s functionality with Rite Aid’s basic styling for an easy, non-jarring user experience. In addition, I create all of the graphics each month, including animated hero swfs. 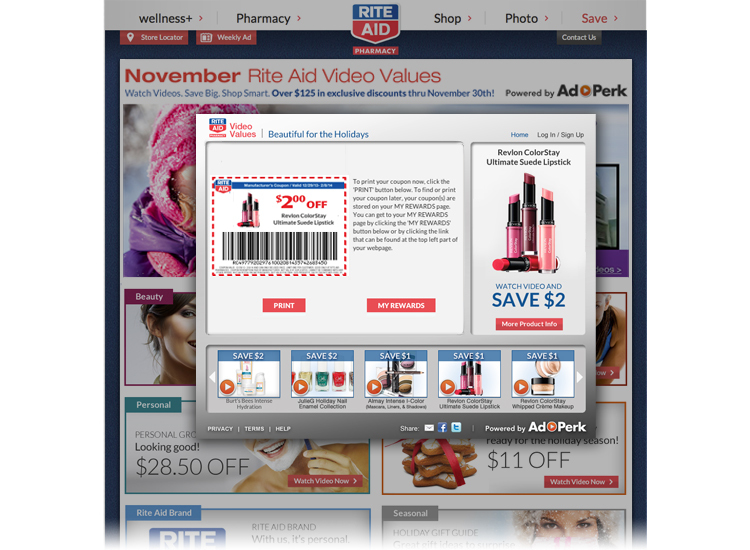 I work closely with our development team to make sure it happens each month as seamlessly as possible. 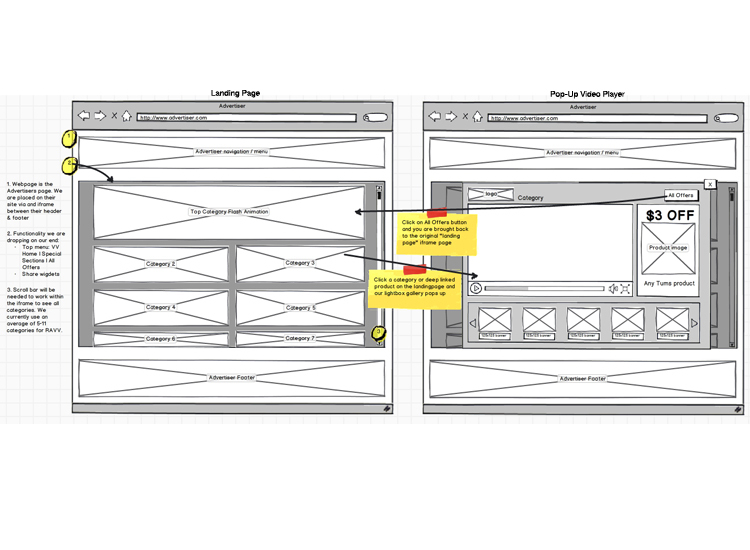 We are finally moving from animated flash to HTML5, it’s been a fun learning experience so far! 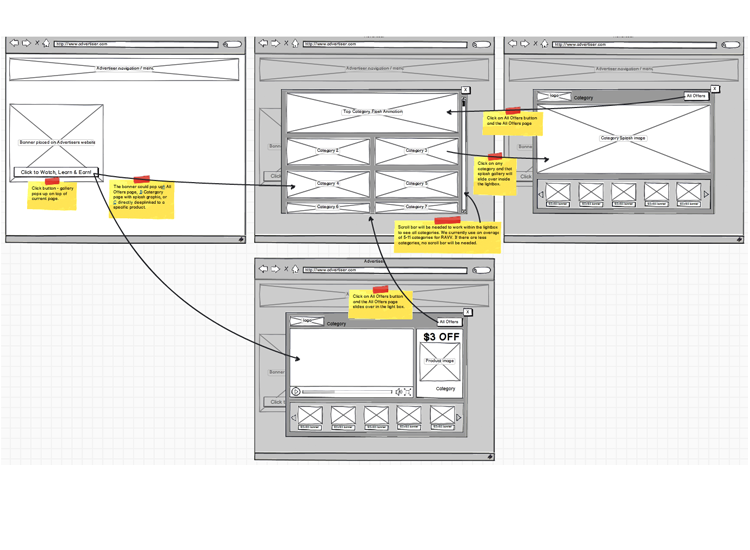 I included some original wireframes I created for the UI.